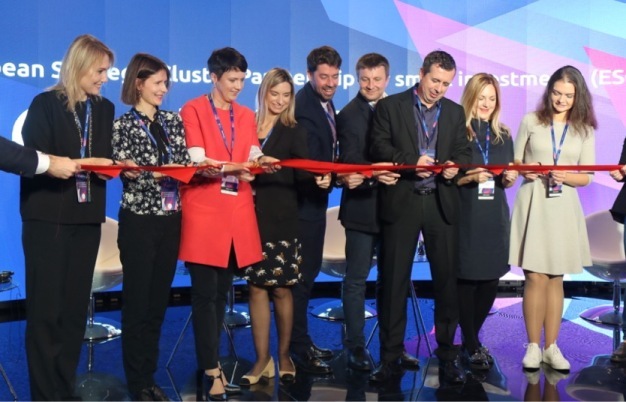 We are a vibrant & pioneer cluster network which unites five clusters from Eastern Europe who are passionate about food and committed to work together on boosting intersectoral innovations, opening new markets and helping SMEs access the global markets. By joining knowledge, experiences and different competences from Poland, Lithuania, Latvia and Ukraine, we aim to build new cooperation bridges and create new added values resulting from our unique interdisciplinarity, especially in terms of co-creating new, healthy & functional foods. The idea of creating an Eastern European Food Network started in 2016, during the BSR Stars workshop on cluster internationalization in Riga organized by Cluster Excellence Denmark, EEN and BSR Stars. We met one more time during the 4thCluster Matchmaking Conference in Warsaw, where we had very fruitful meetings and signed first collaboration agreements between Polish, Latvian and Lithuanian clusters. In the following months, we started to execute small bilateral projects (such as BSR Innovation Express) and search for funding from various sources to intensify our cooperation. During that process, we discovered that all of us are facing the same challenges related to internationalization and innovation and that’s how the idea of closer integration has emerged. The Eastern European Food Clusters Network is our initiative for long-lasting collaboration and platform to design & execute joint projects. 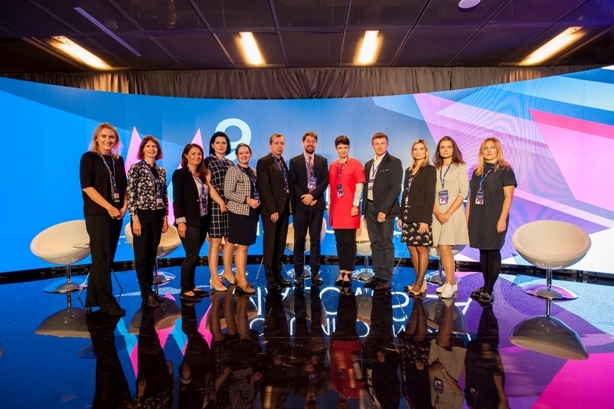 Passionate and multidisciplinary team of five cluster managers with strong experience in cluster development, export promotion and international trade who decided to work together to identify and seize new opportunities for their members in field of innovation, internationalization and sustainable development. We believe that collaborating with people we know, people we like and people we trust in inspiring, safe and effective environment boost authentic innovations, create new values and helps to achieve common goals. Our EE Food Clusters Network is focused on new product and services development in food sector, especially in field of healthy & functional food basing on common competences, cross-border complementarities, market needs and new trends. Our core axis are food clusters accompanied by cooperation partners from other industries -traditional, hi-tech, creative and emerging and matched to jointly design and implement innovations that meet international markets’ needs. DIGICLUSTERS is a novel and pioneer European Strategic Cluster Partnerships for Smart Specialisation (ESCP-S3) aimed at speeding up industrial modernisation of agro-food and packaging sectors towards Industry 4.0 and empower the emergence of cross-sectoral innovations linked to digital innovation. Financed from COSME programme, the project is assembled of seven partners from four different countries and representing 726 SMEs. The project is coordinated by Latvian IT Cluster and involves the following institutions: Association of Lithuanian Printing Industries, Smartfood Cluster and Lithuanian Innovation Centre (Lithuania), UNIMOS Foundation (Poland), OnGranada (Spain) and Food products quality cluster (Latvia). DIGICLUSTERS will introduce pioneer concept of Cluster-Facilitated X-Industry Hackathons to help SMEs prototype faster new, more advanced products and services, as well as to bridge the gap between high-tech industries and food & packaging sectors. It will also create new linkages across Europe, connect innovation & territorial ecosystems. The project is also coherent with Regional Smart Specialisation Strategies (RIS3) of the participating regions and Smart Specialisation Platform for Industrial Modernisation (S3P-Industry) related to Industry 4.0 and entirely supported by regional authorities and other partners who already expressed they will to participate in its execution. Food and packaging clusters collaboration through innovation development is an international cooperation project aimed at boosting cross-sectoral innovations between food and packaging sectors. The project is implemented by the Association of Lithuanian Printing Industries in close collaboration with Smartfood cluster (Lithuania), Paper province cluster (Sweden) and AgroBioCluster (Poland). 3. a participation in international packaging fair, exchange of good practices and information about possible new & joint projects that connect food and packaging sectors. For more information, please contact us at contact@eefood.net or visit our website www.eefood.net. Looking forward to colaborating with you!